Blog ▷ How Does an EKG Monitor Your Heart? EKG – Electrocardiogram, a term we’ve all heard tossed about in hospital drama programs on television. But what is an EKG monitor exactly? To put it in simple terms, an electrocardiogram is a technological device used by medical professionals to detect a possible heart condition. It works by measuring the electrical activity of your heart. No. The test is non-invasive, does not involve any needles and only takes a few minutes. It is a fairly easy test where four-to-six leads (cables) on certain areas of your chest. The leads measure electrical output and record the findings. The findings communicate certain characteristics of your detailed chest activity. This information tells the doctor if there is a potential problem with your heart. What is the Purpose of an EKG Test? There are a number of special conditions that may require your doctor to order an EKG. Those with heart infections may need regular monitoring of the heart during the course of their illness. Also, it is not uncommon for people with pacemakers to be asked to wear a Holter Monitor, (a portable EKG) for a 24-48 hour period to provide information for an extended monitoring period. Should I Request an EKG Test? Good communication with your doctor is key. When you visit your primary physician, alerting them to any concern you may have is a good first step. Make sure you tell your doctor might include any unusual pains in your chest longer than normal lasting fevers/illnesses, dizziness or trouble breathing. The next action you may expect from your doctor is a series of blood tests. They may also listen to your heart with a stethoscope and ask a series of questions related to your diet and lifestyle habits. 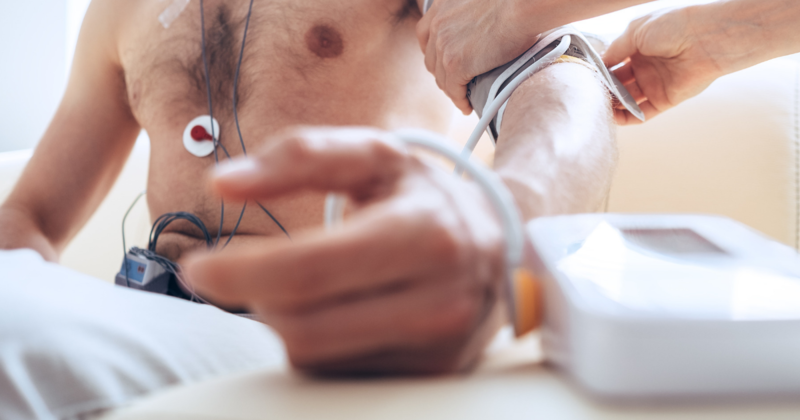 As a preventative measure, your doctor may order an EKG to monitor your heart’s activity. Trusting your doctor with your health matters is crucial. Finding a primary physician that you feel comfortable with is your best chance to avoid having a heart attack or stroke. Monitoring your heart via EKG is a very small part of a much bigger picture. 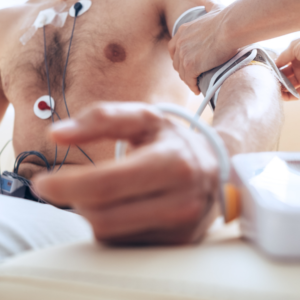 The EKG monitor can reveal a great deal to your primary physician, it is ideal to identify warnings and potential risks before one might be needed. GMP Medical’s Dr. Gloria Mendizabal-Piedra is a compassionate physician that takes time with her patients. She knows that partnering with our patients and learning about them is the best preventative medicine. Make an appointment today to get on track with your health. At GMP Medical we have flexible scheduling, transportation, and we accept most insurance plans. Call us today at 305-823-2433.